The Foscam FI9805P is one of Foscam's latest "Plug & Play" cameras featuring the ability to connect via smartphone by simply scanning the QR code on the underside of the camera. Bypassing the need to access your router and setup port forwarding, the FI9805P can be set up effortlessly by anyone, even those with very little IT experience. The FI9805P adopts 960p HD video quality (1280 x 960) as well as a high performance media processor, single SOC chip (built-in ARM+DSP) and high speed video protocol processor. As a result, it is capable of H.264 video compression allowing for extremely smooth video transmission with minimal bandwidth consumption. In addition, due to the small file sizes produced by H.264 video compression it has the ability to save tremendous hard drive space when doing manual video recording. 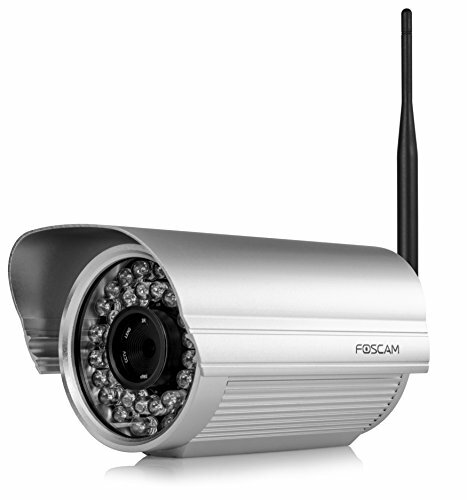 The Foscam FI9805P features 960p HD quality video, H.264 video compression, Wireless-N capability, remote internet viewing, motion detection, and night vision. In addition, it is smartphone compatible (Iphone, Android & Blackberry) as well as viewable over the internet using a compatible app. The camera functions well as part of a home or office security system with remote internet monitoring ability. 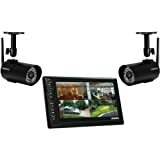 With 60 second easy setup with QR code scan via Smartphone and the option of live viewing and storage via FoscamCloud (free trial included), this is one of the best values available for an outdoor surveillance camera purchase.